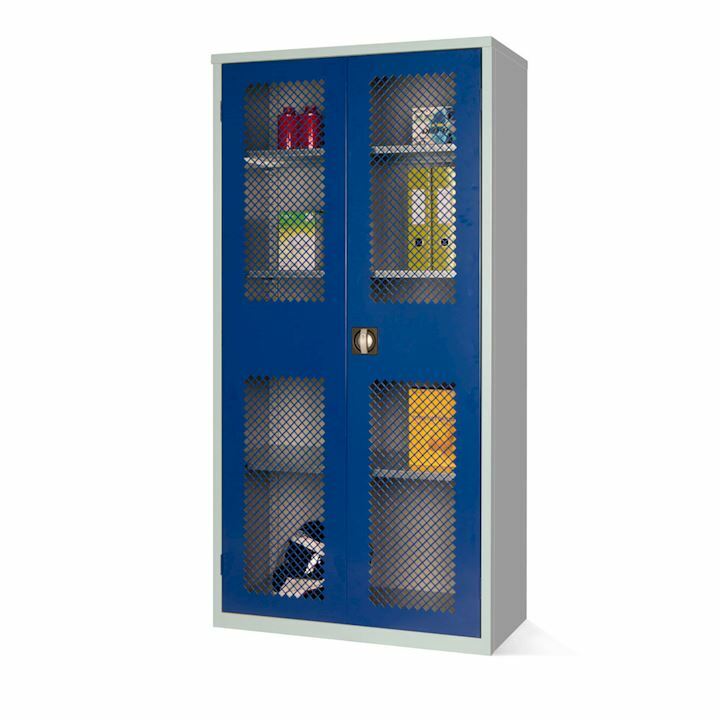 Mesh Fronted Cupboards are excellent for use in retail, industrial, pharmecutical or office environments where stock needs to be inspected in a secure lockable location. Lockable mesh doors allow contents to be easily viewed. Doors are reinforced with steel profiles for added security. 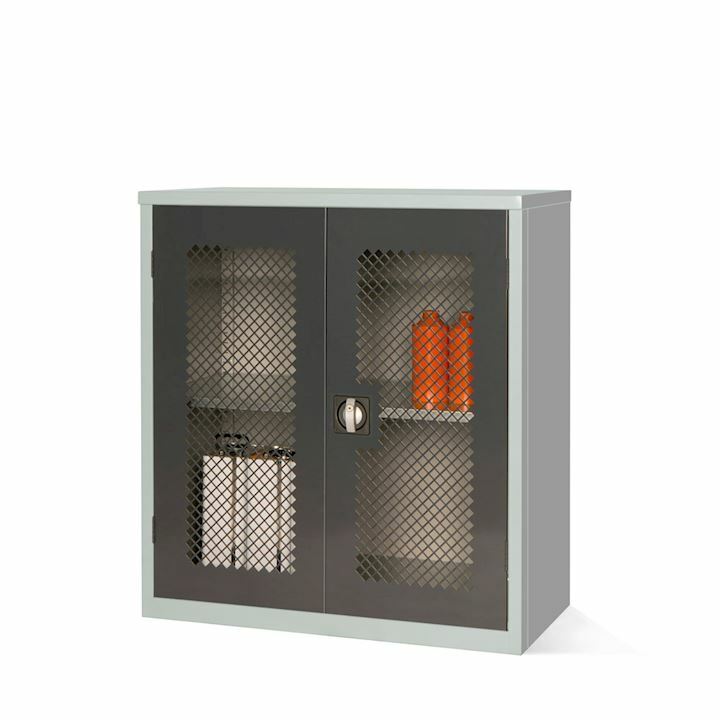 All mesh fronted cupboards come with 3 point locking, 2 keys and a mastered lock as standard. Mesh fronted cupboards come with a light grey frame and a selection of door colours including, red, blue, light or dark grey and black.